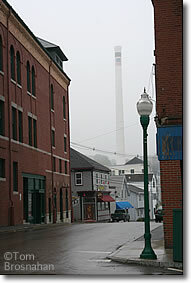 This patriotic smokestack rises at the end of a street right next to Camden, Maine's town hall. 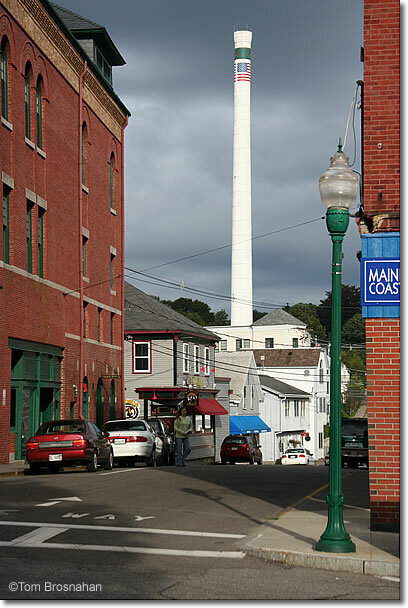 A relic of Camden's more industrial age, it was too big to ignore, so they decided to make its presence a virtue. I like it.